If you plan to join the workforce or go to school, it's important to plan early for child care. Manitoba has more than 1,000 licensed child care facilities and there are many different types of child care available, from large child care centres to smaller home care situations. There are also different locations to consider, and different styles of care. 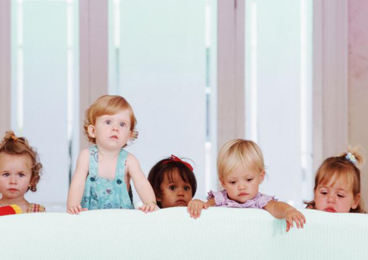 Fees for child care, too, can vary but you may qualify for a subsidy. If you have a child with special needs, you may want to know what specialized services and supports may be available to your child. Manitoba has a centralized online child care registry you can use to place your child on a licensed child care facility's wait list. To get the information you need on these and other child care-related matters, follow the links below. High quality, accessible and affordable child care is important to all Manitoban families and communities. Learn more about Manitoba's Early Learning and Child Care program and how you can find child care for your children. Child Care Subsidy – The Child Care Subsidy Program provides provincial support to eligible families to help with the cost of care by reducing child care fees for children from the ages of 12 weeks to 12 years. Child Care Online Search Tool – Search tool for the child care options available in Manitoba for your child's needs. Online Child Care Registry – The Online Child Care Registry helps families find, and apply for a space in licensed Manitoba facilities.